Recently more and more hospital patients have been receiving bills with hefty charges from unexpected out of network doctors or other medical service providers such as labs or Radiologists. Services that used to be included in the daily hospital rate now comes as additional costs because they are provided by out of network contractors. 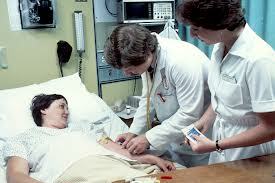 Many emergency rooms, for example, are now staffed by out-of-network doctors who bill separately. Out-of-network doctor charges are not negotiable and can reach phenomenal amounts. For example a patient requiring a skin graft would pay $1,781 to an in-network doctor while an out-of-network doctor would potentially charge $150,500. In a recent article in the New York Times, Elisabeth Rosenthal exposes this practice.